Congratulations to Rachel and Matt who were just married on the mainland. 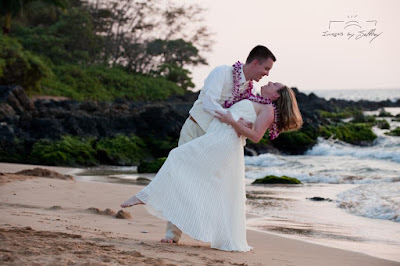 They had dreamed of a Hawaiian wedding on the beach so to fulfill that dream, they brought their wedding attire on holiday with them. 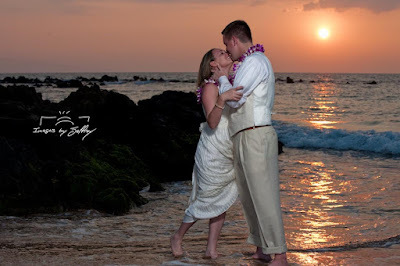 We had a great session on one of Maui's most beautiful Wailea beaches. Recent weather has filled the skies of Hawaii with Vog from the Big Island. The lack of wind lately has kept all the particles in the air, and provide all the right elements for an incredibly colorful sunset.